About 45 Sathya Sai devotees from Sweden, Norway, Denmark, Netherlands and Germany participated in a North European Satsang in Ödeshög, Sweden, in Spring 2013, to reflect upon love and leadership. 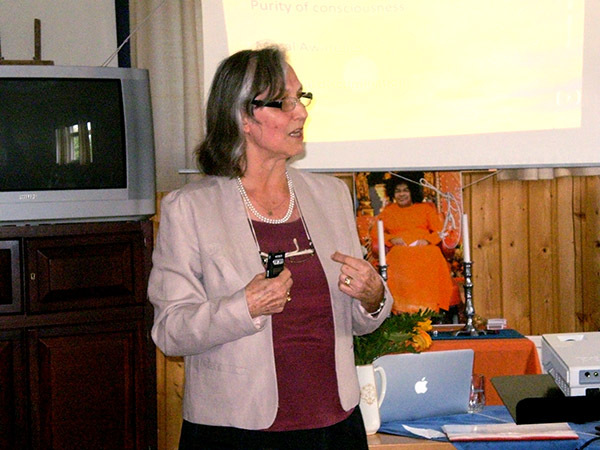 Ms. Petra von Kalinowski, Chair Zone 7 of the Sathya Sai International Organisation, spoke on Swami’s message about spiritual transformation through service, emphasising the importance of developing character and team spirit. Ms. Marianne Meyer, Member of the Prasanthi Council, spoke about the path to spiritual excellence, with exciting stories to illustrate the point. Mr. Jan Floris from Netherlands spoke about love and leadership and gave examples from his own work experiences. A programme was held on Saturday evening on “Service of Gratitude to God, Mother Earth and the Five Elements,” on an outdoor theatre stage. 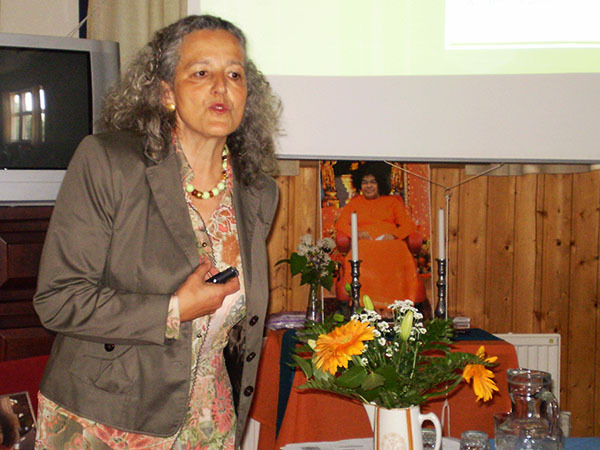 Devotional songs in different European languages were sung to express gratitude, and later the participants assembled inside to share their personal experiences and interactions with Swami.